My name is James Prater and I am a Certified QuickBooks Pro Adviser Accountant. I have been been giving Nevada individuals and business owners personalized service since 1991. I pride myself on developing accounting solutions that fit the way you operate, not you changing to fit a system. 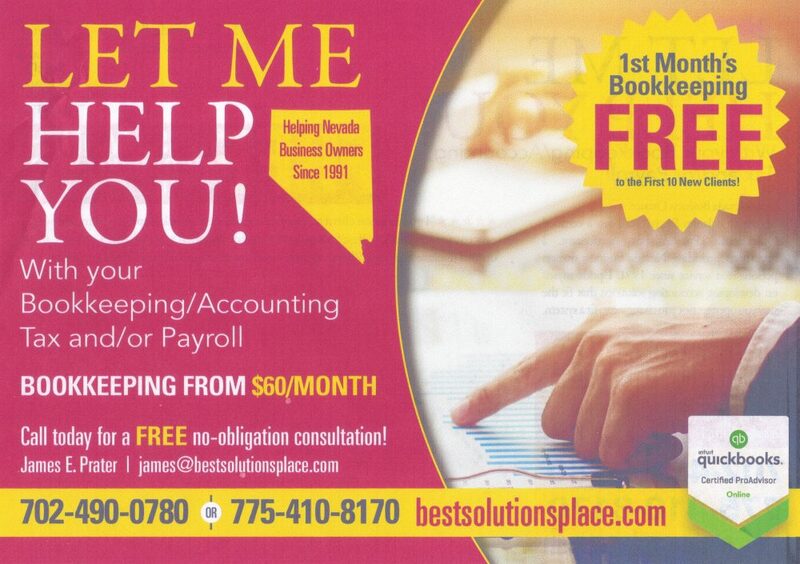 I am a complete accounting practice, experienced in providing Nevadans Bookkeeping/Accounting, Tax Preparation, and Payroll solutions. I use the latest technology that lets me offer virtual cloud based services all over Nevada. To get information on the specific services I offer, please click below.